Voter Registration Ends: Last day to register to vote. First day for county clerks to mail ballots to voters: First day to mail ballots. All ballots have to be received by 8 p.m. Pacific time. Postmarks do NOT count. All voting in Oregon is by mail. Ballots are due at the county elections office by 8pm on election day. Please keep in mind that postmarks do not count! However, there are ballot boxes in easy-to-find locations (like the Valley Library and the County Courthouse) and you may drop them off at any of these by the deadline and they will be counted. In order to vote in an election in Oregon, you must be registered to vote 21 days before the election. If you have moved since the last election, you must update your registration. You can register online. Oregon Motor-Voter Registration: Many people who apply for an original, renewal, or replacement license, permit, or ID card with the DMV are automatically registered. Motor-Voter Registration Information can be found at http://sos.oregon.gov/voting/Documents/oregon-motor-voter-registration-manual-final.pdf. If you are unsure if you are already registered please check your registration status online. The Secretary of State is Oregon’s chief elections officer. Some of the things the website for this office provides are comprehensive election information to the public, including information on voting, campaign finance and candidates. Here you can also study the history of Oregon elections, find statistical data, and get the results of recent elections. The Office also publishes the state Voters' Pamphlet and distributes it to every household in Oregon, and also make it available here online so that all Oregonians have the opportunity to make informed decisions when voting. Can I drop off my ballot from Multnomah, Linn, Lane, or any Oregon County at The Valley Library / in Benton County? Can I drop off my ballot from Washington State at the Valley Library/in Benton County? Do I need to put stamps on my ballot if I’m dropping it in your ballot box? When is the last day I can drop off my ballot? I need more info—where can I go? The Benton County Elections website is https://www.co.benton.or.us/elections. I registered to vote but I didn't receive my ballot. What should I do? Where can I find the phone number for my County Election Office? Project Vote Smart - Enter your zip code or address to see a list of who's running in your district. 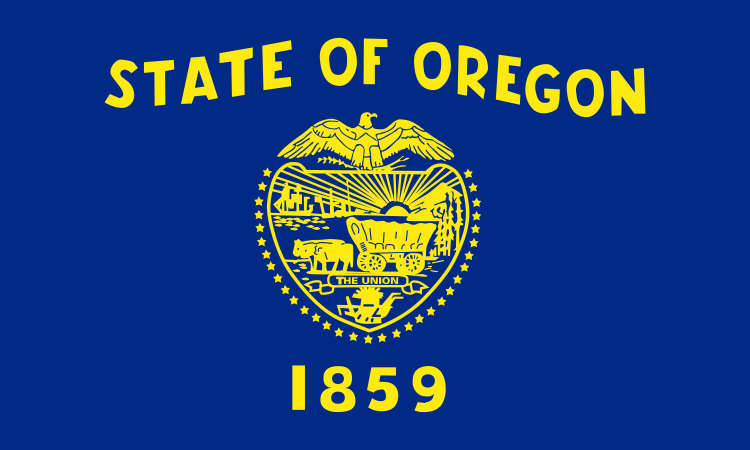 Oregon State Candidates: Politics1 Online Guide to Oregon - A directory of Oregon candidates for State Cabinet, United States Senator and Congress in the current election cycle; state political parties; state news sources. Does not include candidates for state legislature. Transcripts of primary debates beginning 2007; will include general election debates after they happen. Ballotpedia- Ballotpedia is a neutral online encyclopedia of American politics and elections. The site lists major Presidential candidates with candidates' positions on a variety of issues (domestic and foreign affairs, economy, education, environment, job creation, health care, national security, tax policy, etc.). On the Issues - Extensive web site analyzing positions of all Presidential candidates as well as incumbent governors, senators and House members on a variety of campaign issues. Relies on their voting records but also includes position statements. For historical research on all states' (including Oregon) ballot measures, there is a Ballot Measures Database at http://www.ncsl.org/LegislaturesElections/ElectionsCampaigns/BallotMeasuresDatabase/tabid/16580/Default.aspx, from the National Council of State Legislatures, with coverage back to 1902. OpenSecrets.org - From the Center for Responsive Politics, a nonpartisan, independent and nonprofit research group tracking money in U.S. politics and its effect on elections and public policy. Federal Election Commission (FEC) - An independent regulatory agency founded by the United States Congress to regulate the campaign finance legislation in the United States. Functions include: donor lookup; influence & lobbying; receipts and disbursements of Presidential and Congressional candidates. Search by candidate and year; then drill down to detail on individual contributors. Ballotpedia - Ballotpedia a neutral online encyclopedia of American politics and elections. The site includes encyclopedia entries for local, state, and federal politics. Project Vote Smart - Oregon State University was the first location of this non-partisan, nonprofit educational organization funded exclusively through individual contributions and philanthropic foundations. Now located in Montana, the organization website has sections on Elections & Candidates, Government & Officials, and Issues. Political Humor (About.com) - A compilation website of political humor, jokes, cartoons and videos from a variety of media sources. The Daily Show with Trevor Noah - Makes a big deal about presidential elections every election year and broadcasts live from the conventions. Political Humor on Twitter - The first election cycle with Tweets! Civics Toolkit from the Oregon Secretary of State Office is an Oregon-centric guide to elections civics. The lesson plans target students ages 17 to 24. They cover everything from the history of voting in Oregon to what you need to know before you register to vote. Project Vote Smart has a Government 101 tutorial and a section For Teachers with classroom resources. ICPSR Resources for Instructors includes exercises (modules) for classroom use on Voting Behavior in the 2012, 2008 and 2004 elections, and a Data-Driven Learning Guide on Voter Turnout in the U.S. These utilize statistical data sets (subscription database; while the modules are openly available, some of the data sets may only be available to the OSU community). Learn about Elections and Voting on USA.gov. Links to general information, educational materials for kids and educators, information about the Electoral College and Election History, and more.